Spring is here and it is time to get the boat back on the water. To kick off the season, it would be great to get together. Therefore you are invited to come to the Creel on Sunday evening at 19:30 to discuss plans for the summer. Hopefully we can arrange regular outings and get as many people as possible rowing. We would love to hear what times best suit people and who would like to be involved this year. 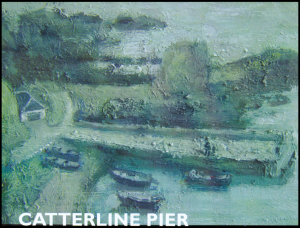 In addition, we have received and invitation for the Catterline boat to participate in the Portsoy festival at the end of June, which involves some races against 15 other boats, across a number of categories (male/female/mixed, novice/experienced, youth/open/over 40/over 50). If you meet any of these criteria, here's your chance to take part in a great weekend. The Portsoy festival has lots of other boats/maritime events, a folk festival, a food hall and a ceilidh. Submitted by stephen on April 10, 2014 - 20:58.